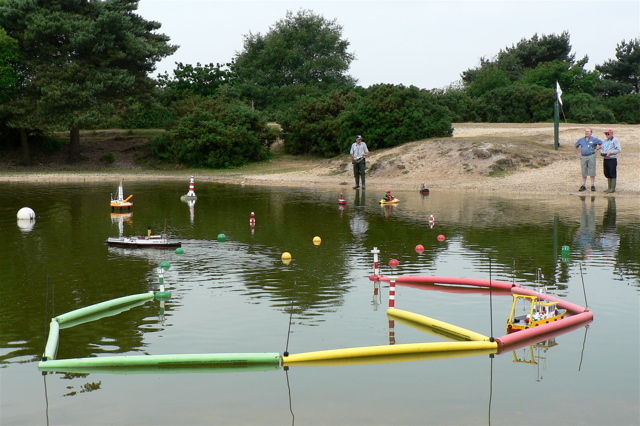 The Solent Radio Control Model Boat Club is the Scale Model Section of the Club. We meet on Thursday and Sunday mornings at about 0930am throughout the year (weather permitting), with the pond available for for use throughout those days, and scale members are also able to use the pond from about 1300 on Mondays, Wednesdays, and Fridays. A very friendly welcome is extended to all visitors. The models range from rowing boats to liners and from sailing dinghies to square rigged ships (but note that fast electric racing boats or IC boats are not allowed by the Forestry Commission Regulations). The Scale Section has a thriving membership of over 150 modellers. We hold annual exhibitions in Highcliffe and Milford-on-Sea, typically there are over 70 boats on display and each show raises several hundred pounds for various Club charities. Our members also display their models at other clubs and exhibitions. Anyone interested in starting the hobby or joining the club is welcome to come along to the lake on a club morning. To get in touch with the Scale Section or to obtain a Membership Application form please see our Contact page.